We'll send details of your product or service to our subscribers in our next newsletter. It will not be sent to those who have opted out of the site newsletter. We have a large number of specially selected freelance trainers who we can recommend or place for contract training and analyst roles. There is a fee for this service but our selected contractors are filtered and that saves you time. Our service extends to interviewing, staff and contract administration and project management. We are particularly specialised in user migration projects. 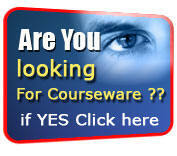 As well as the free-to-search database and discounted courseware, we have several other services for trainers. Company Formation and Company Administration Services. Fax to E-Mail; 0870 numbers issued and directed; accommodation address services. Remember, the more you log in to your site profile, the higher you are in the search results. Please E-Mail us for any clarification or additional information. Seven Dials Publications Ltd (registered as a private limited company in England).